Dr. Ebeneezer Scrooge got grumpier and grumpier as the holidays approached. Despite working hard all year, he hadn't achieved many of his goals. Worse, he was worried about his finances, and unless something changed, his prospects for the new year weren't much better. With all this stress, it was hard to get excited about the holidays. 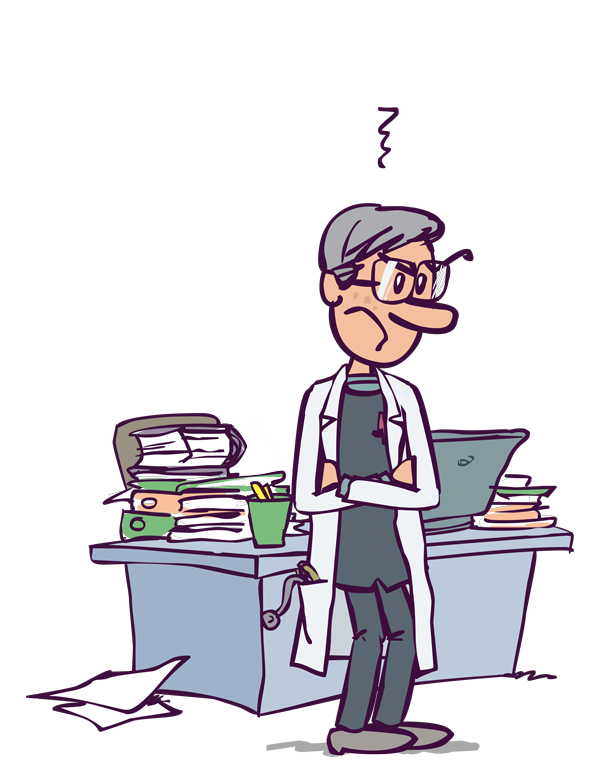 One night in December, Dr. Scrooge stayed late at the office yet again. He had charts to finish and wanted to look over some things for the next day. As he sat in a chair in his office, he heard strange voices calling his name. He jumped to his feet and ran to the waiting room—where, to his shock, three strangers dressed in festive clothes and glowing slightly sat waiting for him. “Hello, Dr. Scrooge. We are holiday spirits with a special appointment tonight!” said the first spirit. “The stress must really be getting to me. I'm seeing ghosts now,” the doctor muttered. “I promise, we're quite real,” said the second spirit. “Help me? How?” asked Dr. Scrooge. The Ghost of Christmas Past stepped forward. “You're stressed out, overworked, and worried about money. You're no longer happy in your profession. Practicing podiatry doesn't have to be that way—and we're going to show you how.” The ghost snapped its fingers. Visions of years and holiday seasons passed flashed through the doctor's head. In many of them, he spent long hours in the office, stressed and frustrated, unable to enjoy time with his family. 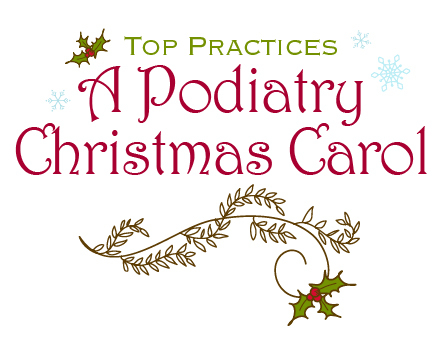 “You see, Dr. Scrooge, the holidays and coming new year tend to make you think all about how your practice is doing, and about the challenges and changes facing podiatry as a whole. You're overworked but still struggling with your profits. You look back over the past year and can only see your missed opportunities and unrealized potential,” said the ghost. The Ghost of Christmas Future stood up and stepped forward. “No, Doctor. We know there is a different, and better, way to practice, so that next year, you aren't dreading the holiday season.” The ghost snapped its fingers. New visions filled the doctor's head: a full waiting room, a happy staff, excellent numbers for his collections, and open nights and weekends. The three ghosts smiled. 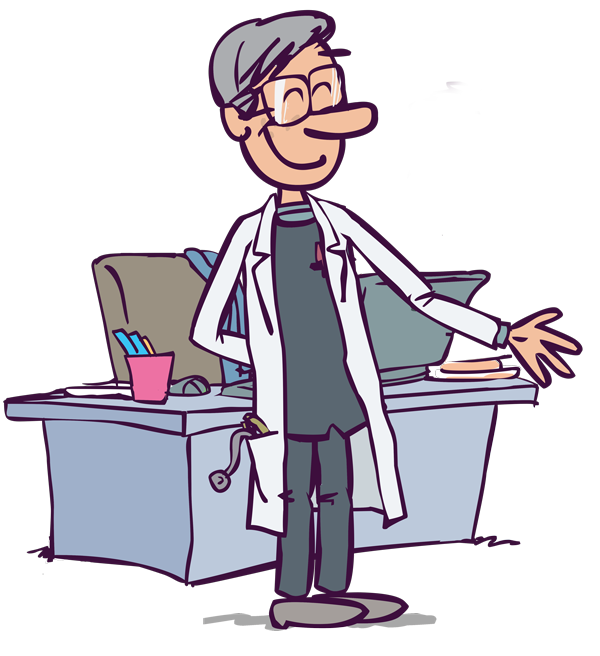 “Learn what you need to learn, Dr. Scrooge, and make next year your best year yet!” With that, they faded from view and left the doctor alone in his waiting room, excited about what the new year could bring for the first time in a long while. Lots of podiatrists feel like Dr. Scrooge, especially around the holidays. But you can make next year completely different. Your ideal practice is possible. You can learn strategies to transform your podiatry marketing and practice management. At Top Practices, we've seen hundreds of doctors just like you achieve their goals and get their nights and weekends. Don't wait for holiday spirits to give you a wake-up call. Contact Top Practices today by e-mailing [email protected] or calling 717-725-2679.